Product #46800 | SKU 12440-Red | 0.0 (no ratings yet) Thanks for your rating! The 12440 K&M Uni-Boy Book Stand (Red) provides a multipurpose table-top solution that holds books, sheet music, reports, and magazines. 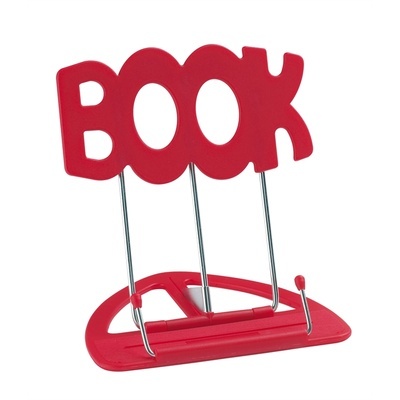 The 12440 book stand comes in a pack of 12 pieces and sports a red colour.